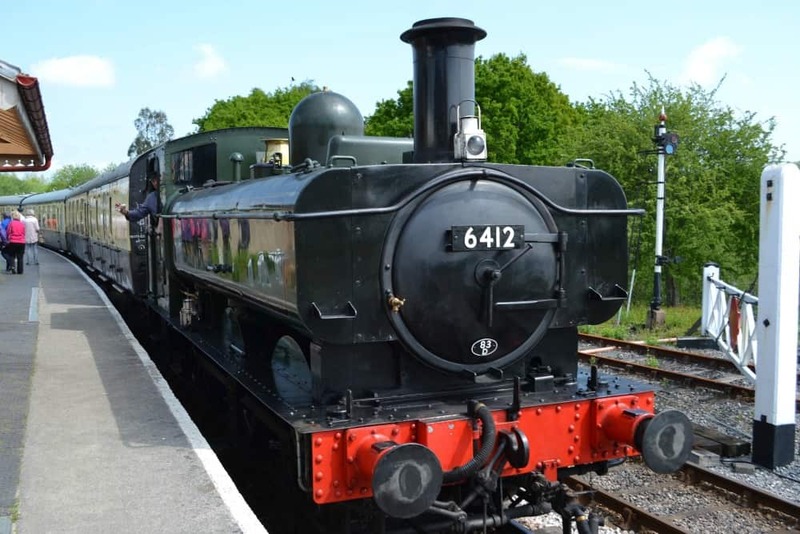 We’ve been looking for a good excuse to experience a taste of the bygone era of steam travel on South Devon Railway since moving to the area. 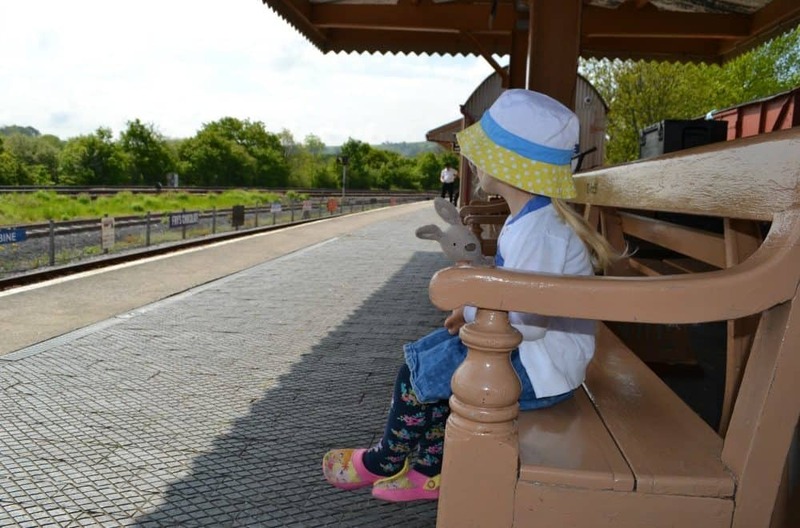 So when Tin Box Nana and Grandad came to visit a few weeks ago it gave us the perfect opportunity to indulge in a day of steam train family fun. The South Devon Railway runs along a seven mile track between Buckfastleigh and Totnes. It’s a former Great Western Railway branch line, built in 1872, that runs along the picturesque River Dart valley. The attraction is run by a charity with a team of volunteers driving and looking after the vintage steam trains, and manning the three stations on the route. As well as riding in the antique carriages with their original upholstery and woodwork you can visit attractions at either end of the track. At the southern end there’s Dartmoor Otters & Buckfast Butterflies – a lovely place we’ve visited a few times – and at the north end there’s Dartmoor Otters & Buckfast Butterflies. You can buy a three-in-one ticket to see all these attractions. We started our journey at Totnes, parking at the mainline station, walking along a cycle path and over the River Dart to find the old branch line. It’s everything you would expect of a Victorian railway station with a picket fence, vintage signs, and a tiny ticket office. The steam train runs up and down the line several times during the day and there are two engines in peak season. We visited on a week day in May and caught the first service from Totnes at 11.30am, planning to return on the final trip at 3.45pm. The journey to Buckfastleigh takes 30 minutes. Along the way we were treated to views of the River Dart, green fields and wild flowers. There’s also a collection of fairies to spot beside the track but we missed them while ‘looking for crocodiles’ in the river. The ride isn’t anything like a modern train, with bouncy carriages and the smell of steam wafting in through the high sliding windows. We also got a nose full of wild garlic that was growing all along the track. At Buckfastleigh Station we took a quick nosy around the SDR museum where you can find out some of the history behind the branch line and see some of the smaller engines that were once used here. 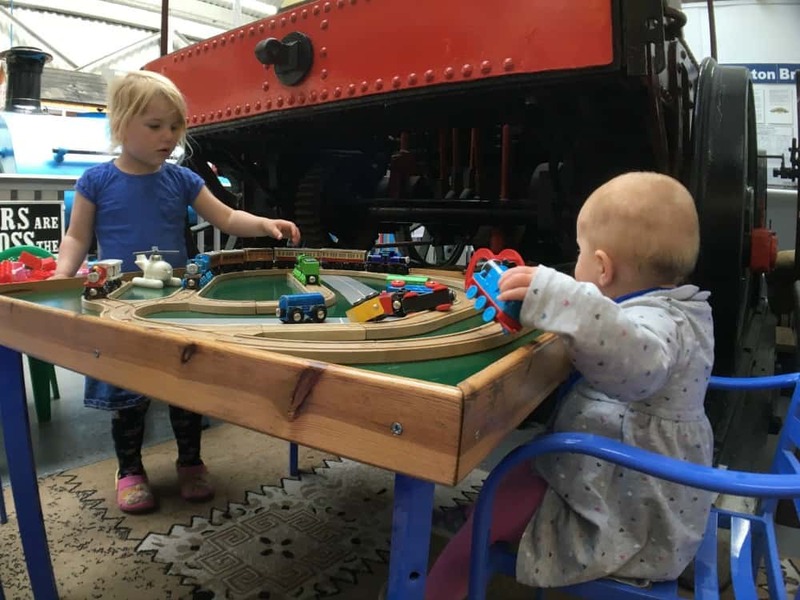 Tin Box Tot and Baby busied themselves with the toy train set and colouring in that’s provided for younger visitors. While in Buckfastleigh we walked 20 minutes to visit Buckfast Abbey. It’s a Benedictine monastery with immaculately kept gardens. It’s an extremely peaceful place to visit and while we didn’t go inside the Abbey this time, I can recommend a trip to the restaurant for lunch. On our return to Buckfastleigh Station we had a look at the model railway in the shop and enjoyed a cup of tea outside in the sunshine before our train arrived to take us back to Totnes. 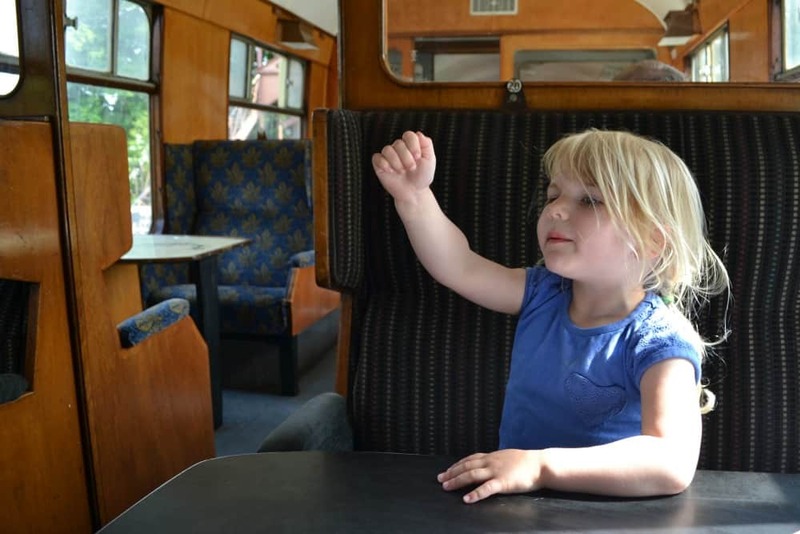 There’s a carriage for storing buggies during your ride and a buffet car selling hot drinks, soft drinks, wine and beers, as well as cakes and other snacks. At both stations you’ll find toilet and baby changing facilities. There are none available on the train itself. As well as grabbing a snack on the train you can get hot and cold meals at the station cafe at Buckfastleigh or at Totnes Rare Breeds Farm just across the track from the Totnes Littlehempston Station. The Farm cafe is also a great place to sit and watch the trains coming and going. If you travel from the Totnes end of the South Devon Railway you will need to pay for parking at Totnes Railway Station. It’s a 400m walk to the steam trains at Totnes Littlehempston station from there. Alternatively you can find parking in Totnes town but it’s a longer walk. There’s a dedicated carpark at Buckfastleigh right by the South Devon Railway station. Trains run at different times throughout the year so make sure you check the timetable before you visit. 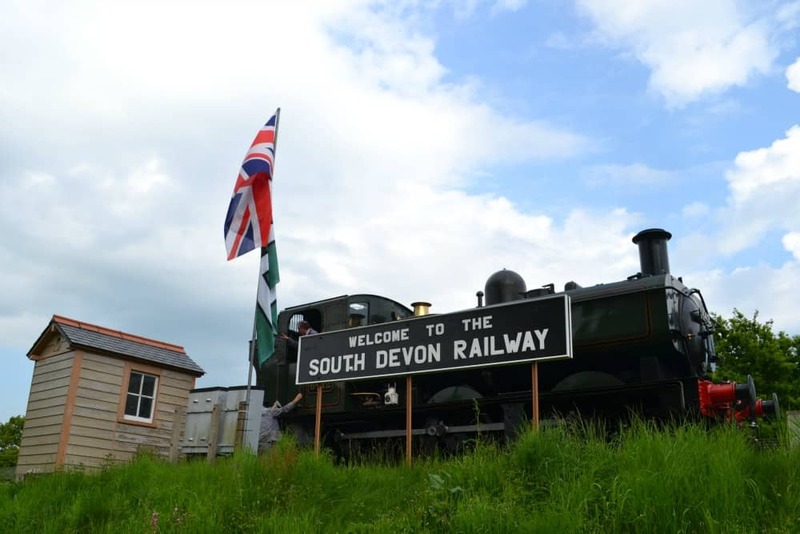 The latest ticket prices are also available on the South Devon Railway website. When we visited in May 2016 tickets just for the train ride were £14 for adults, £13 for senior citizens, and £8.40 for three to 15-year-olds. Children under three-years-old travel free on normal services. Fees may apply for younger children on special services. Look out for special events throughout the year including Thomas the Tank Engine themed days, vintage transport weekends, and Halloween and Christmas special services. Disclosure: we paid for our own South Devon Railway tickets. All opinions are my own. So much fun traveling by a steam train if you have never done it before. Almost like driving a T model Ford for the first time.